Meet the award-winning and only holiday park to sign up and pay all their staff the real Living Wage. 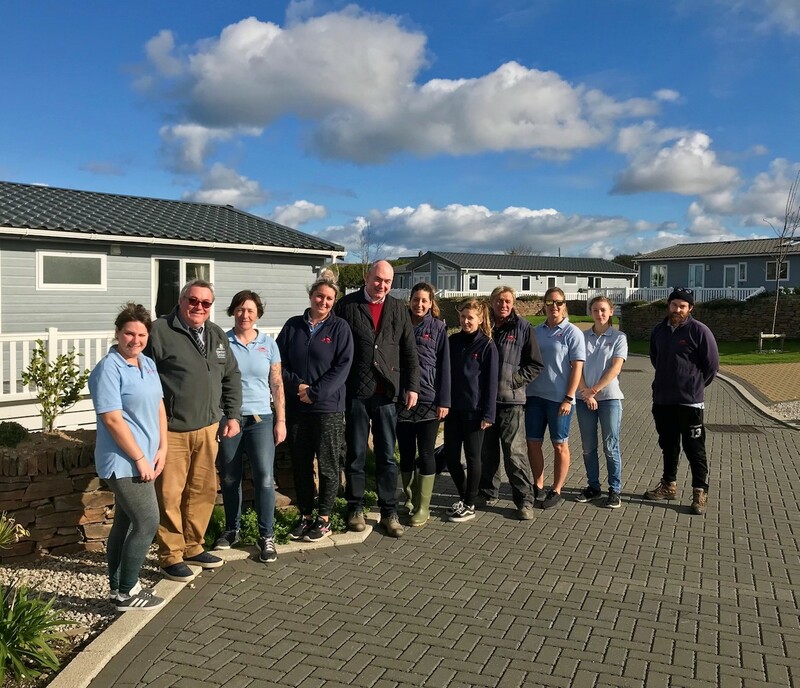 This Living Wage Week, Patrick, owner of Mother Ivey’s Bay Holiday Park in Cornwall, shares why the Living Wage has been a win-win for both their team and their business. “Take my own business, a holiday park and campsite at Mother Ivey’s Bay in Cornwall. We are fairly new to the real Living Wage. Like many campsites across the UK, we had always paid above the minimum wage, but we had not heard about the work of the Living Wage Foundation and their real Living Wage, and so we never knew there was a yardstick calculation showing the hourly wage staff need to earn in order to meet their own basic needs. Like many other businesses, we paid what we needed in order to recruit staff. However, during the 2013 Living Wage Week, while sitting in my osteopath’s waiting room with a cricked neck I flicked through their copy of The Guardian newspaper, where my attention was caught by an article on the real Living Wage. It got me thinking, no more than thinking, but when a few months later I was setting our 2014 budgets I realised that while there would be a cost to the business, nevertheless, taken in context the additional cost was manageable. So without actually joining the Living Wage Foundation, we shadowed their real Living Wage throughout 2014, and by November 2014 it had become clear that the additional labour costs were more of a boost than a burden to our business! In a flash recruitment had become so much easier, with seasonal staff choosing to return, meaning our investment in training was working better for us. And, the stability in our workforce created more consistency across customer service, helping ensure a better guest experience. We became an accredited Living Wage Employer in January 2015, and have never looked back. It really is one of the soundest business decisions we’ve made. These days, while wages of course remain a cost to our business, we treat wages as an investment in our guest experience. And, with improved occupancy across our business, it seems we are paradoxically more profitable as a result of paying the higher, voluntary, real Living Wage! 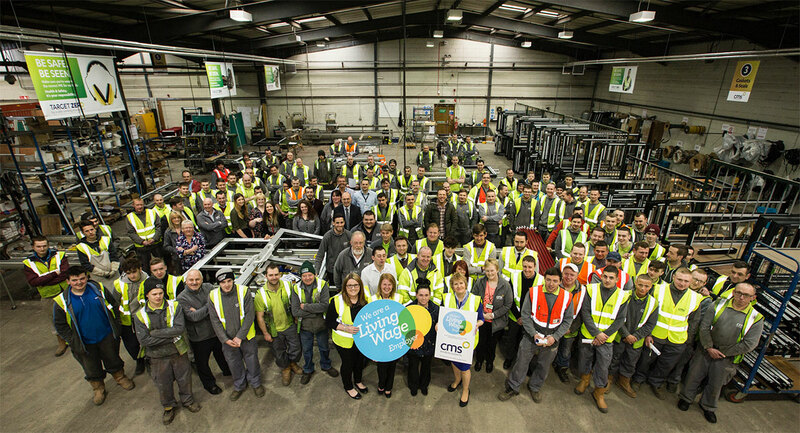 In our experience, the real Living Wage has been a win-win for our team and for our business. The next step in our own journey is to share this great news with our colleagues across hospitality and tourism, and with that thought in mind, we are hosting a Living Wage Celebration during the forthcoming 2018 Living Wage Week, inviting Cornish Living Wage Employers plus our supply chain, plus Cornwall Councillors, who have themselves recently voted to become an accredited Living Wage employer, driving poverty out of their own supply chain and paying their whole team fairly. Over 4,700 Employers have signed up to pay all their staff a real Living Wage, not only is it employers but it’s good for society with over 180,000 people getting a pay boost as a result of the real Living Wage. Join the movement and become a Living Wage Employer today.